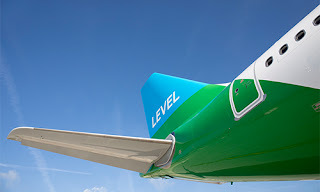 International Airlines Group’s (IAG) long-haul low-cost airline brand "Level" starts its inaugural French flight today from Paris heading for Montreal in Canada. There will be more than 300 passengers on board a new Airbus A330-200 aircraft as IAG's answer to 'Norwegian' begins to serve the Canadian city three times a week. Tomorrow the airline will also start the first of a four times a week service to Guadeloupe, both from its Paris Orly base. This year two new Airbus A330-200 aircraft will be based at Orly, each with 293 economy and 21 premium economy seats. A third A330-200 aircraft will be added in 2019 providing the opportunity to expand LEVEL’s network further. These aircraft are equipped with the latest high-speed Wi-Fi with prices starting at €8.99. “We will continue to invest in LEVEL and are committed to accelerating its growth. Last week we launched its new short-haul operation in Austria which will fly from Vienna to 14 European destinations from July 17.